Chris Theisen's "Parent Coach Plan" is essentially a "Cliff Notes" book for parents. Its pages are easy to read and are filled with useful information and advice related to parenting and child discipline. The book itself is fairly short (at about 50 pages) but it is filled with all the relevant information parents need in order to be effective with regards to managing their child's behavior. Parents should have no problem following the simple, straight-forward instructions to the actual "behavior program" and there are additional sections devoted to parenting tools and to teaching children about coping skills. Another section is filled with information tidbits such as how to communicate with your child, ideas for rewards and consequences, ways in which children manipulate, and how to utilize various discipline techniques (not to mention many more!). Along with the book, parents are able to access a free download that consists of various behavior contracts, a behavior chart, and a token economy system for in the home called "Behavior Bucks." These additional tools can be used alongside the discipline program in order to maximize the effectiveness of the program or "plan." All in all, this program is simple to implement and it promotes positive interactions between parents and their children. Though it doesn't appear to be designed for children with severe behavior disorders, it could be quite effective with children who are motivated by positives and who try to avoid consequences. The effectiveness of the program will obviously depend on a number of factors but overall it seems to be an excellent program with a fair price and some equally beneficial downloads that can be downloaded immediately after purchase. 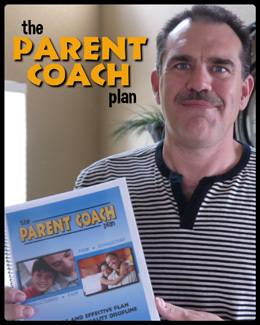 If you have a child that is pushing limits, causing problems, or wreaking havoc in your home, then The Parent Coach Plan might be just what you need.